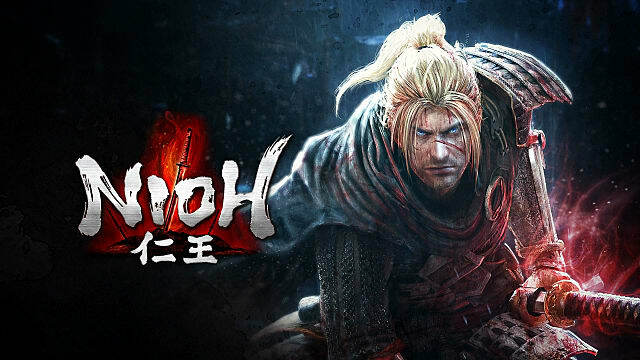 After the rebooted Resident Evil 7 just a scant few weeks ago, Nioh is easily one of the first truly anticipated console games of 2017. 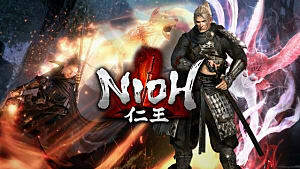 Rivaling Final Fantasy XV's development cycle, Nioh was originally announced all the way back in '04 and was initially going to be a PS3 exclusive in 2006. 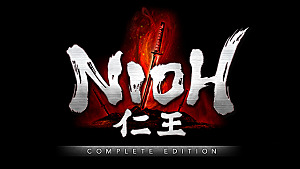 More than a decade later it's finally here, and much like with Team Ninja's other katana slashing title Ninja Gaiden, this one's unnecessarily hard and extremely unforgiving – and of course that's the point. 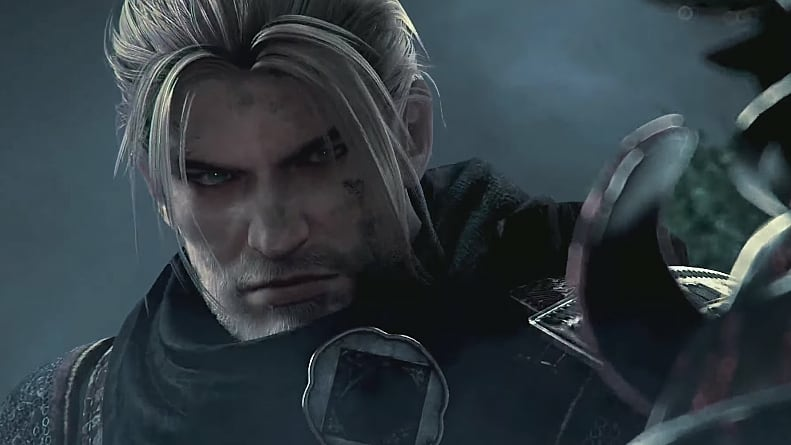 Despite being a feudal Japanese-focused game, Nioh's main character is the curiously European pirate William, who also happens to be a weapons master with some magic powers. As we all know, pirates and ninja are natural enemies, so it makes sense he'd go on an endless killing spree when arriving in Japan. 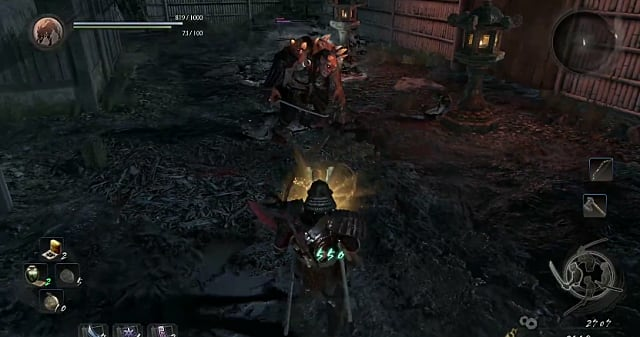 If you ever thought to yourself, “man, I wish there were more Japanese polearms and oni in Dark Souls,” then you've officially found a new game to die excessively with while trying to convince yourself the moments of triumph are worth the frustration. Echoing the aforementioned Dark Souls, you'll again learn the devastatingly hard combat while escaping a prison -- although this time its populated by armored guards with swords chasing you around instead of slow moving skeletons. As with From Software's series, you've got to learn the attack patterns of your enemies, then figure out how to quickly parry or dodge out of the way of different attack styles. At the end of each segment you're rewarded for not dying by facing off against massive (and massively difficult) bosses while dying a couple of dozen (or hundred) times. There are some noticeable changes though -- from minor aesthetic ones like shrines covered in adorable kapa take the place of bonfires, to major combat overhauls. Not only are there five different weapon types (sword, dual wielding sword, spear, axe, and kusarigama), but also three different stances for each weapon, so there's more versatility here in learning how to tackle each type of enemy. Obviously you can land some devastating blows with the axe, for instance, but with the slow speed you are inviting death via swift retaliation if you haven't mastered the pace of combat yet. 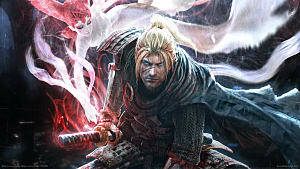 Add in the various weapon and magic skills, along with the Guardian Spirit and Living Weapon systems, and there's quite a lot of gameplay mechanics to work through and master above and beyond what's found in the games that inspired Nioh. Kapa-covered shrines? 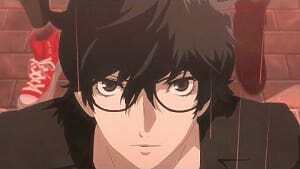 Its enough to make any otaku swoon! William's quest to retrieve his stolen Guardian Spirit and find more Amrita stones takes place in a backdrop of Spain, using magic power to conquer its enemies. It curiously recalls the story of Lionheart -- an action RPG that didn't quite deliver on its awesome premise. Much like that game, there's a mixture of history and fantasy in Nioh, but this time around the action has better pacing. While viciously skewering soldiers or hacking apart demonic creatures, William embarks on a journey across war-torn Japan to face off against the menacing...Kelley? I guess Kelleys can be evil too if they want to, it's just an odd name for the big bad of a grim, magic-filled game that primarily takes place in Japan. 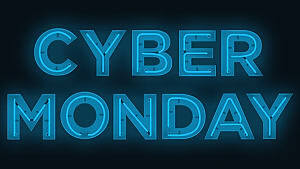 While storming your way through any given self-contained mission, you can activate the graves of players who died (and oh, there are so, so many of those), battling AI versions of those players to learn how to stay alive longer and gain prestige by triumphing where others fell. 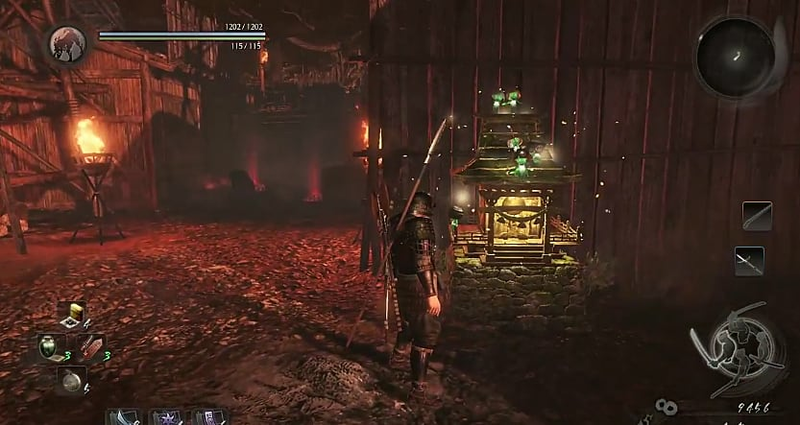 The previous demos really didn't let on that there's metric tons of equipment to pick up and sell between missions, constantly being dropped or available in chests – in fact much more than in the previous games that clearly inspired the Nioh style. You'll go from shirtless to threadbare cloth to plate armor in no time. True Souls inspiration: naked and fleeing for your life! 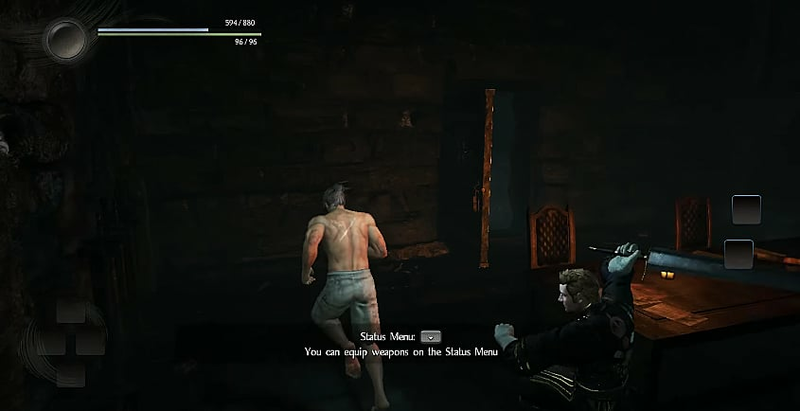 While Nioh is mostly on the dark side, there's moments of levity and cuteness, along with some typical “game-isms.” Whereas Dante was prone to opening doors by stabbing them with a scythe first, William has to always savagely drop kick chests rather than just lifting their lids. Offering observant players a chance to “git gud” as it were, the Ki system takes a concept from other styles of game to provide a method for the easily-frustrated to dominate in combat. A bit like an active reload, the Ki Pulse gives you a stamina boost if you hit the button at just the right time -- and if you master this system, you can attack more forcefully and consistently without having to break away to guard and regain stamina. 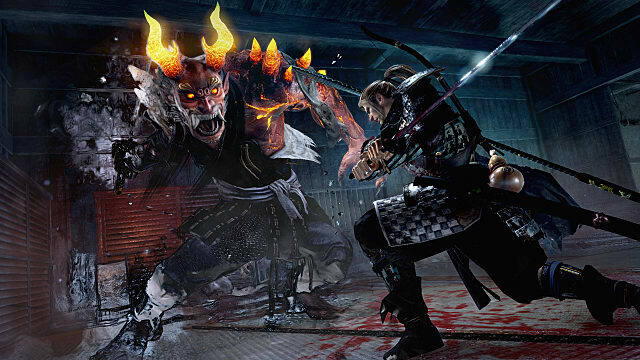 Simply put, Nioh is essentially Onimusha meets Dark Souls, with a revamped combat system for more complexity and a focus on the action. 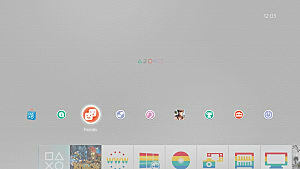 Overall the game excels on the graphical and stylistic front, and both sound effects and voice acting are handled well. 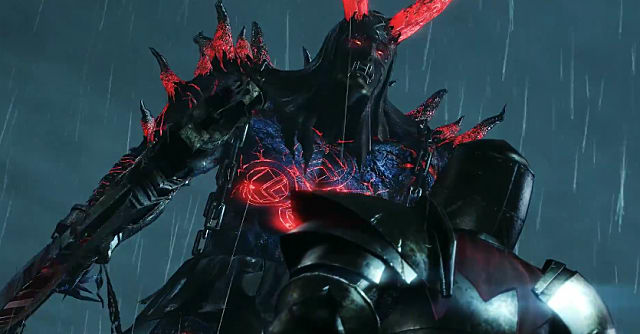 Most notably, Team Ninja did a phenomenal job with the environments --from a rainy stone tower in London to Japanese seaside villages to dank caverns filled with giant oni who seem suspiciously like cave trolls. There are some really interesting levels to explore, and by necessity there has to be, since the game is linear and mission-based. There are a couple of downsides to the execution of this style, however. Despite not being open world, it is very possible to get lost in a few areas, and oddly the full tutorial explaining all the ins and outs of the complex combat system isn't available until more than an hour in -- after you've already fought your first boss. As with any of the overly hard Souls-like games, there's a point where the frustration becomes more than is worth playing through, particularly on boss fights where you can die in two hits. If you aren't spot-on perfect in every single move for a 5 – 10 minute battle, get ready to do it again. And again. And again... If you really want to do and get everything Nioh has to offer, there is also a decent amount of returning to previous missions and grinding away. For the most part, those are squabbles that will be overlooked or outright ignored for genre fans, however. 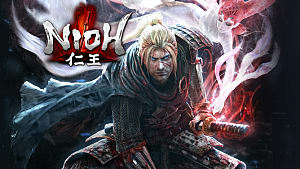 While I normally prefer games that don't go out of their way to frustrate on the difficulty front, I've got to admit this is one of the best examples of the Souls style released yet, and if you love that specific type of game, you're going to love Nioh. 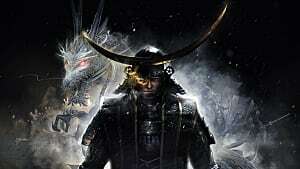 Love Dark Souls and Onimusha? This is the game for you.